Happy Saturday to one and all, and if you happen not to be happy on this Saturday, we offer our condolences. Perhaps some of the new sounds in the following collection will cheer you up. They sure as hell put a smile on my face. A couple days ago Candlelight Records announced that it will release the third album by UK-based Xerath on September 16 in North American (September 15 for Europe). The title is III, and it was produced by Jacob Hansen (Volbeat, Epica). 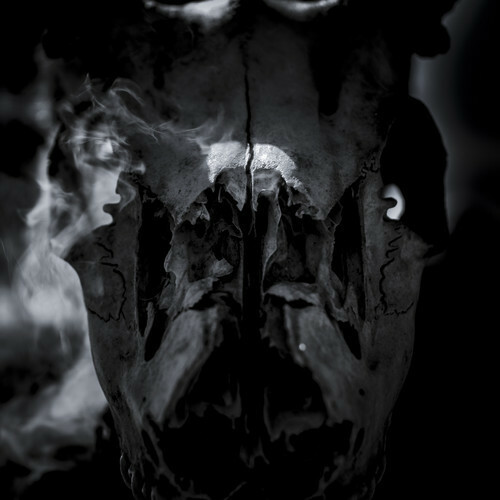 The album is a mammoth one, with 14 songs and a run time of almost 70 minutes, and the cover art was again created by Colin Marks. The album also marks the appearance of new guitarist Conor McGouran, who has replaced the formidable Owain Williams. Also appearing on the album will be a live string quartet and classically trained alto and soprano vocalists. I really enjoyed this band’s first two albums and have had high hopes for the new one. We got a first taste of the album in late April when Candlelight released a sampler that I wrote about here. 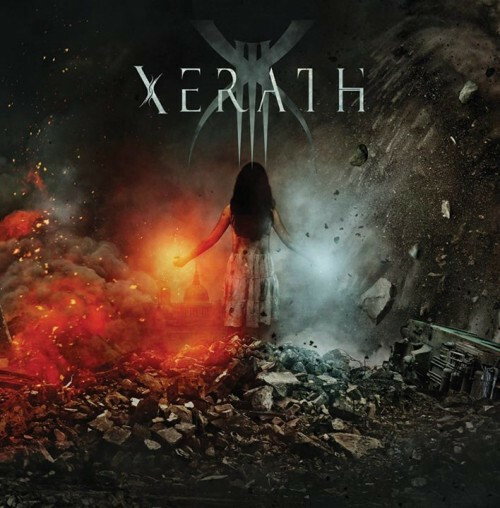 The sampler included a previously unreleased Xerath song named “Sentinels”, and although I didn’t know it at the time, that turns out to be the seventh track on III. And then two days ago, a teaser of additional new music appeared on YouTube. “Sentinels” launches with one hell of an epic introduction, and the rest of the song is damned good, too, packing a flurry of jabbing riffs, jackhammering percussion, and shimmering orchestration — and Conor McGouran turns in a striking, soulful guitar solo. I’m not sure which song appears in the YouTube teaser, but it’s also excellent. It features that chorus of female vocalists and the live string quartet, another wonderful guitar solo, and some convulsing riff power paired with a dramatic symphonic melody. Listen below. 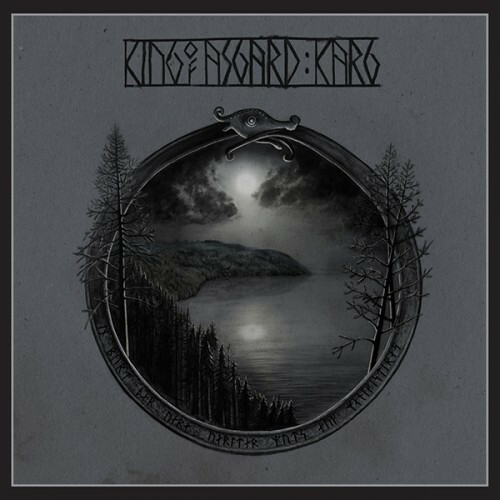 Sweden’s King of Asgard are another band whose previous albums I was very high on. I first discovered the band via the ninth MISCELLANY post I wrote all the way back in 2010 and have written about them several times since then. They’ve now completed work on a third album, entitled Karg (“Barren” in English). It’s scheduled for release by Metal Blade on July 22 (and can be pre-ordered here). “Remnant of the Past” is a moody, mid-paced crusher that pairs truly ravaging harsh vocals with sky-scraping clean ones and includes a phalanx of bruising riffs and a couple of cool solo bass guitar leads. Really good. Amiensus are one more band whose previous releases I’ve thoroughly enjoyed, the most recent being their Gathering split with Oak Pantheon that I reviewed here. They’re now at work on an album that they’re projecting for release in the winter of 2014, and today they started streaming clips from two of the new songs. The first one in the excerpt you’re about to hear is “On These Deserted Plains”, and the second excerpt comes from “Towards Horizon”. The music is intensely melodic and atmospheric, with sharp-edged black metal vehemence in the first song and nothing but clean song and a dreamy ambience in the second one. I’m now very curious to hear what else the album holds in store. Columns come from Charlotte, North Carolina. They have a new album named Please Explode that Relapse Records plans to release in North America on August 5 (August 4 in the UK and Europe). Yesterday our contributor Leperkahn alerted me to a stream of a song from the album named “Punching Nancy Grace”, and the song title was all the inducement I needed to check it out. I do my best to avoid Nancy Grace like herpes, but a couple times in the past I unfortunately was exposed to her vitriolic rants, and so I felt like fist-pumping when I read this comment from the band: “Nancy Grace makes a living shitting out of her mouth. Columns as a whole would like to see her get punched.” They take out their rage in the song, which is real slugfest of punchy, fast-pacing riffs and vocal roaring and shrieking. A previously released song from Please Explode named “Mudfucker” is also available for listening, and I’ve included that one below, in addition to “Punching Nancy Grace” — because “Mudfucker” is another death/grind blast that’s definitely worth hearing. 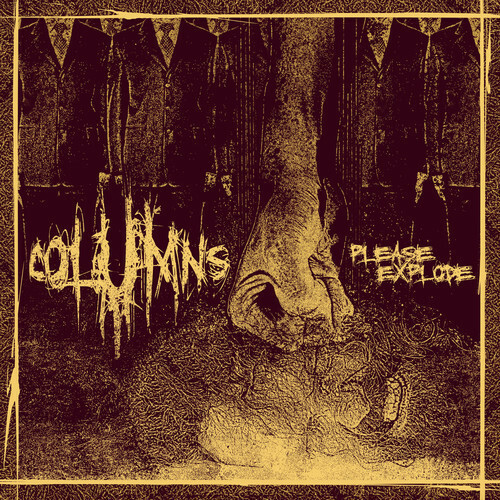 The album can be pre-ordered at the Columns Bandcamp or from Relapse via this link. The Columns Facebook is here. I have my NCS comrade DGR to thank for tipping me to the final song in this round-up. Ikhon are a death metal band from Ludvika, Sweden, and their line-up includes Daniel Jansson, the vocalist/bassist for Majalis, which is how DGR tumbled to them (Jansson is the vocalist and one of the two guitarists in Ikhon). DGR and I are both Majalis fans. Before the change of name to Ikhon, the band were called Fartgod. I kind of like the old name, but I think changing it was still a wise move. 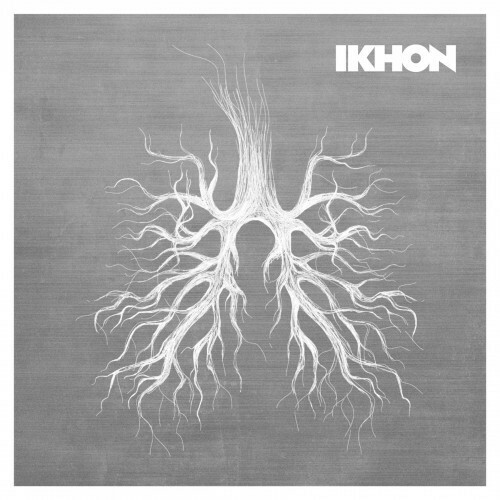 Ikhon released a self-titled EP in 2011, and within the last couple of days they debuted a lyric video for one of its songs, “The Antialliance”. If the rest of the EP is as good as “The Antialliance”, I want to hear it. The song is a powerhouse of bull-dozing riffs and drill-bit tremolo picking, with huge neck-snapping grooves and an eerie melody that surfaces part-way through the demolition project before the band finish the job of pounding the listener into smithereens. UPDATE: I’ve learned that you can listen to the whole EP and a couple of cover songs, and watch some old live clips, at Daniel Jansson’s personal YouTube channel HERE. I found both I and II of Xerath to be bland, with polyrhtymic riffing that just felt forced and the symphonic parts felt pretty tacted on. Well aren’t you just a ray of sunshine? Personally I’m not a giant fan of the band, but claiming that the riffing is forced and the symphonic elements are tacked on is frankly pretty ludicrous. Polyrhythmic riffing with symphonic elements IS their entire sound. Lol. Dammit there’s been a new Xerath track out and I didn’t even realize!! I have very high expectations, too. Both of their first two albums got a lot of air time in the air between my ears. A lot of magic happens in that air space brother! Yes, you and me both — caffeine is as essential as air. Well, now I’m excited for that Xerath album. Hadn’t heard of them before now. Ok the Columns song title is hilarious, but honestly i just don’t like that approach to lyrics or even song titles. Remember when Gaza first premiered “The Truth Weighs Nothing” but they originally called it “Tebow”? It actually made me not want to listen. Btw i rarely pay attention to sensationalized political $hows and i’m not particularly invested in sports or their celebrities. I guess i feel like the statements are somewhat shallow and self-contradictory, especially when the band seems to have a tone of moral superiority throughout their lyrical topics. I try to avoid sensationalized political shows too, and the only time I see the likes of Nancy Grace is when clips pop up on shows I sometimes watch on the other end of the political spectrum. Obviously, I couldn’t resist the shots at her in the Columns song. Yeah she’s definitely little more than a talking head, and i don’t want to defend her at all. It’s just that the song title presents a no-win situation for me: unless you’re the one actually punching Nancy Grace, then it seems like an empty boast… but literally punching her over her words (however awful they may be) seems wrong to me. That being said, it’s just a song and i’m not too worried about it. I’ll probably check it out anyway! Some bands obviously have more violent lyrics, i guess it’s just that adding a name to the imagery makes it seem like a cheap shot. It makes it that much harder to connect to the music, especially if i’m not already way into the band (like something that’s completely new to me or the aforementioned Gaza). 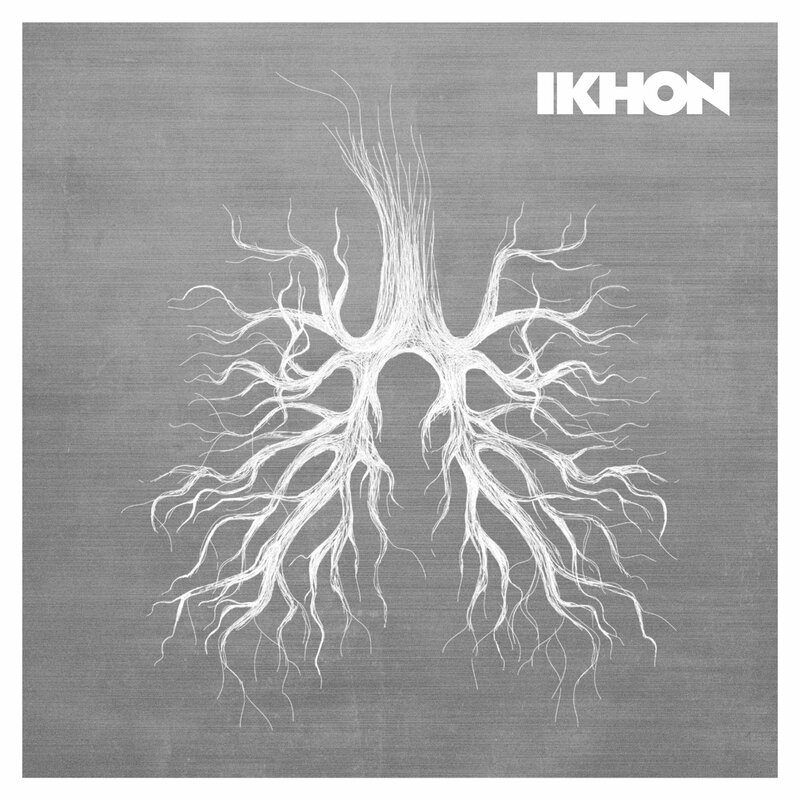 Ikhon have a pretty good cover of March Of The Fire Ants on their youtube page.